Guwahati: After young pugilist Shiva Thapa confirmed his space at the London Summer Olympics, another Assam guy Debajit Changmai has signed for a Hollywood flick to be directed by Meera Nair on Wednesday, April 11. 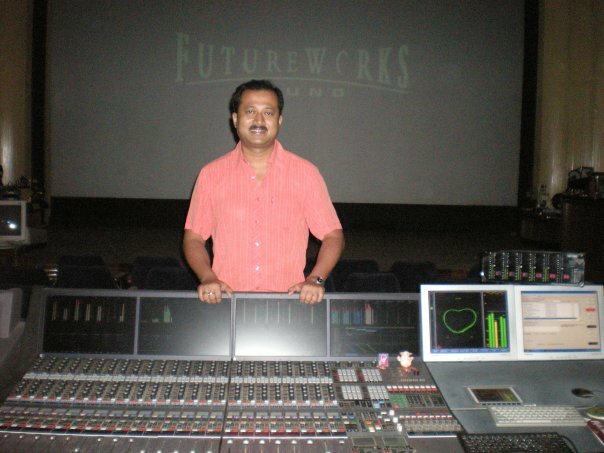 Debajit Changmai, a national award winning sound mixer from Sivasagar of Assam was signed by Mira Nair for her latest venture ‘The Reluctant Fundamentalist’ based on an award winning novel by Mohsin Hamid by the same name which features several big names of Hollywood. “It’s a major break for me. I think it came at the right time. My hard work is paid off,” an elated Debajit told Seven Sisters Post from Mumbai after he signed the contact. The film is depicts a tale of a young Pakistani man working on Wall Street who is deeply affected by the terrorist attacks on the World Trade Centre. He would start to work for the film which features Kiefer Sutherland, Kate Hudson and Liev Schreiber and several others on the later part of May this year. This would be for the first time in the history that the sound mixing and editing of any Hollywood film would completely be done in India. Besides Debajit, the other Indians to be involved in the project are Om Puri, Shabana Azmi, Chak de India famed Shimit Amin and Satish. The film which has locations of New Delhi would be completed in 2013. Debajit Changmai had won the national award for the year 2010 for re-recording of the final mixed track of Hindi film ‘Ishqiya’ in the 58th National Film awards. Besides ‘The Reluctant Fundamentalist’ he has several other projects in the pipe line. Among them are Priyadarshan’s ‘Tezz’ and ‘Talaash: The Answer Lies Within’ a psychological thriller written and directed by another Assam girl Reema Kagti.